I thought about starting this DIY off with a clever Princess Bride reference, but let's just get right to it. Virginia loves peanuts. So much in fact that we have our own kind! The Virginia Peanut is one of the four types of peanuts grown in the United States and has the largest kernel size of all, making them a huge favorite for snacks and peanutty baked goods. 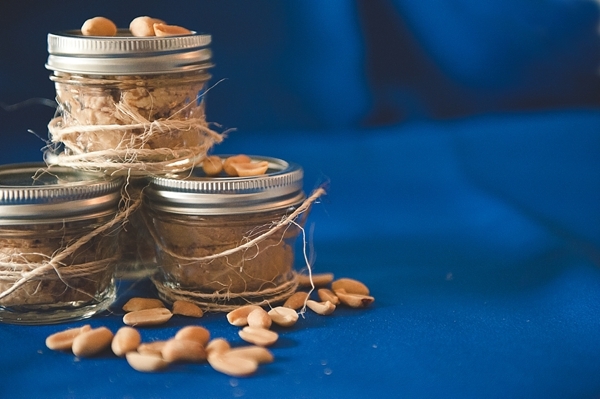 While some peanut butter lovers will say Spanish peanuts are best for peanut butter making, my local peanut experts in Suffolk say no-- hence making this DIY one perfect wedding favor for couples who want to show some Virginia state pride! 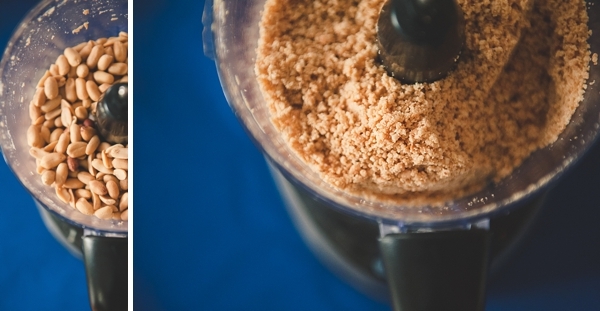 In a food processor, pulse the 2 cups of peanuts until they look like chopped nuts. Run the food processor continuously for 1 minute. Stop and scrape the processor's bowl sides and bottom. Your peanut butter should look gritty and dry like couscous at this point. Now run the food processor continuously for another minute again. Stop and scrape down the sides. Your peanut butter should start to clump. 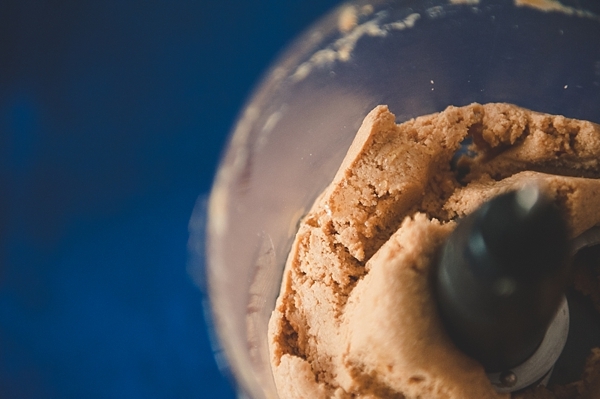 Run the food processor or blender continuously for another minute. Stop and scrape down the sides. At this point, the butter will be glossy and soft, like very thick peanut butter. Add the salt, peanut oil, and honey. And now process for another 1 to 2 additional minutes until it becomes completely smooth. 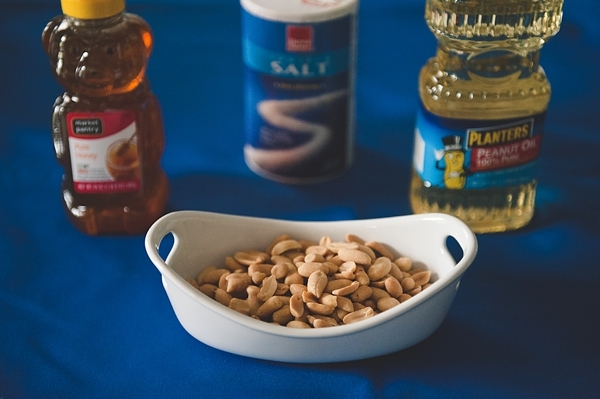 Depending on your preference, you can add a tiny bit of peanut oil for creamier peanut butter or you can add in chopped peanuts for crunchy peanut butter. Homemade peanut butter is a little grittier than commercial peanut butter and is completely a taste preference! Add in small additional amounts of what you like until it tastes the way you like it. 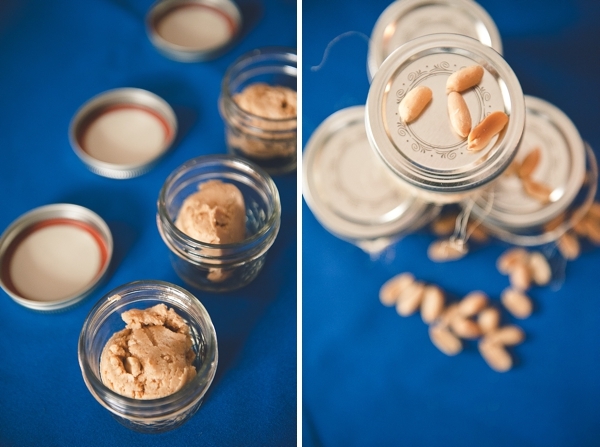 Scoop the peanut butter to small glass jars and then transfer to the refrigerator. The peanut butter can either be used immediately or will stay fresh for several weeks in the fridge. If you're not ready to put your butter into small jars, scoop your peanut butter into an airtight container and place in the fridge; it can be safely stored for about 2 months. For chunky peanut butter, remove 1/2 cup of chopped peanuts from the food processor before processing the rest of the recipe. For some different, unique flavors, add some cocoa powder, cayenne pepper powder, or curry powder when you add in your salt and oil. For different sweeteners, you can use Karo syrup, molasses, or even maple syrup. 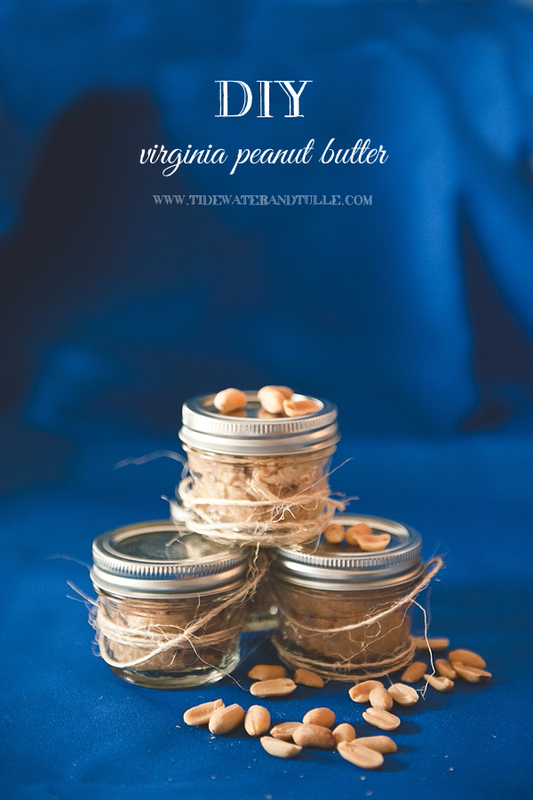 Even though this is for Virginia peanuts, if you have someone with a peanut allergy, you can even use this recipe for sunflower butter or cashew butter. It is recommended to Google for further information though! On your wedding day, the peanut butter is okay to sit out of the fridge all day, but it would be good to note for guests to put their favors into the fridge if not eating soon after the wedding.